The classified advertisement will be placed on the notice board and/or website for a period of 3 months from the date of posting and will be removed once expires. The advertiser may renew the application at least 2 weeks before the expiry date. Advertiser is required to inform the Office via email: enquiry@csc.org if the posting is no longer required. CSC reserves the right to reject classified advertisement that may affect the Club’s image or in conflict with the Club’s interest, without assigning any reasons to the advertiser whatsoever. 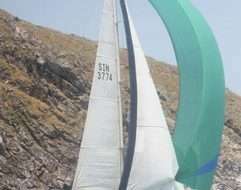 All classified advertisement are confined to sale of 2nd hand sailboats. These advertisement requests are subject to management’s approval. The Club reserves the rights to amend the Terms and Conditions without prior notice.